We are thrilled to find out that Cloud 9 Art School has been nominated for the Gold Daisy Award, recognizing places families love in our community. Please go vote for us and push us to the next level!! Nominate the local businesses you love the most and be entered to win one of five $25 gift cards! There are only two weeks left to make the Top 3 and enter their Voting Round! Spread the word and please vote for Cloud 9 to push us through to the next level! What is this Gold Daisy Awards thing? 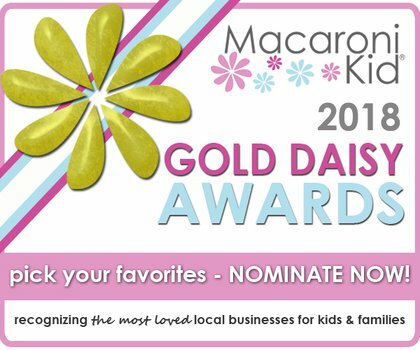 Macaroni Kid Woodinville-Bothell is hosting our Gold Daisy Awards, recognizing places families love in our community: your favorite businesses, service providers, places to play and more!